This past weekend, I reluctantly made the decision to venture outside of my comfort zone to race an extremely technical crit. JT was able to talk me into making the trip to Dallas to race two days of the Matrix Challenge. The importance he placed on the race didn’t help ease the apprehension that I felt about the course: eight turns in less than a mile; the antithesis of my race of choice. But I suppose one can’t improve if he or she don’t practice. 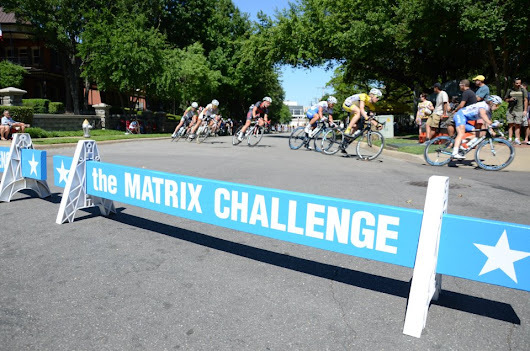 In that line of thinking, I saw the Matrix Challenge as the perfect preparation for racing the technical crits that are coming up later in the year: namely Bike the Bricks and Georgetown Grand. The intention all spring was for me to race the P1/2 race with John and help him get the best result possible. During the weeks leading up to the race, I was having my doubts about my technical capability while simultaneously watching race after race tick off the calendar as the upgrade points I earned at the state crit last year continued to mature. I didn’t care to find out what expired upgrade points smell like; probably somewhere in between a sweat-soaked jersey sitting in the car too long and spoiled milk. I needed one last result to accomplish my goal of achieving my cat 1 upgrade, thus releasing the tension to let me focus on my goals for later in the season. We came to a compromise: Saturday would be for me, Sunday would be for him. I was giving myself one shot, and I couldn’t help but put more pressure on myself to perform. Despite the complex course, the strategy was simple: stage well and stay near the front, going with any moves that look threatening. The initial struggle for the pointy end was going to make the beginning of the race fast, so the warm-up was critical to having legs from the gun. A very structured warm-up on a trainer is the best way to prime the legs for a hard race, but it also helps me get into a frame of mind that racing requires. In this case, it cast aside nerves so I could visualize the path I needed to travel; silently repeating the mantra passed down to John from the Great Jed Rodgers: “No brakes.” Fifteen minutes before the start of the race and dripping with sweat, I hopped off the trainer and headed to the start line to make sure I got good pre-staging staging. As soon as the women’s race finished, I wedged myself into the rush for the start line and ended up first row. So far, so good. As stupid as it sounds, the pre-race race to the start line was probably the most important part of setting up a good race this weekend. By starting in the front, I was able to hit the first turn at 5th wheel, reducing the accordion affect of the peloton and ironing out some of the brake-sprint patterns that tend to emerge on technical courses. It also let me choose my lines and the pace of the race; by setting a monster tempo early, I effectively took the edge off everybody else, especially anybody that staged further back in the bunch. By entering turns fast with no brakes, I could maintain speed and then just power out at a heavy time trial pace. Anybody stuck in the back of the peloton was at the mercy of everybody in front of them: if they brake, you brake. They sprint, you sprint. My strategy worked well. Despite being at the front for the majority of the race, I still had “gas in the tank” for the finish, as Casey Crosby said. During the last few laps, the pace picked up; everybody knew where to be: the first person through the last turn was all but guaranteed a podium. The position game got more heated as everybody tried to move into the first few rows. The trick was to anticipating the surge when it came to try to not get boxed in; spend the effort to pick up the pace slightly and jump onto the front of the surge to slot back near the front of the peloton. Anybody that has ever been positioned well going into the finale of a race knows the pure terror of being overcome by the swarm while trapped and powerless to do anything about it. On the last lap, I found myself on Colin Strickland’s wheel about 6 from the front with 4 turns remaining. We took tight lines in the last laps, smoothly closing off the inside of each turn to prevent people from thinking it would be a good idea to dive into the turn on the inside to try to gain a few positions. With two turns to go, I knew it was time. 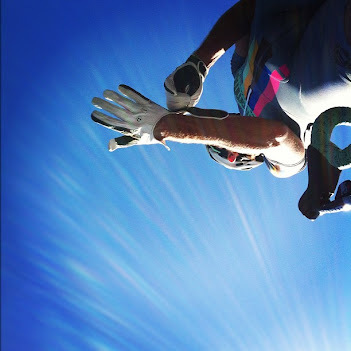 I gave Colin the encouragement he needed as Jeff LaBauve swung around, barely getting the jump on us. We accelerated after him and caught everybody else by surprise. I hit the final turn on Colin’s wheel thinking I had him played, but his draft wasn’t enough to overcome the work I had done earlier in the race. Colin was strong enough to out-sprint us both, and I was too far back to come around Jeff. The third-place finish was exactly what I needed to take care of business and polish off the points for my cat 1 upgrade. The rest of the afternoon was spent relaxing in the deep shade, drinking beers with the guys I just spent 60 minutes suffering with. Team Party Time set up a tent and lived up to their name; they showed us that Dallas can be a pretty cool place to visit. The course was fun and the racing was great, but this was the part of the weekend that will stick with me the longest, and will have me coming back to race the Matrix Challenge again next year. 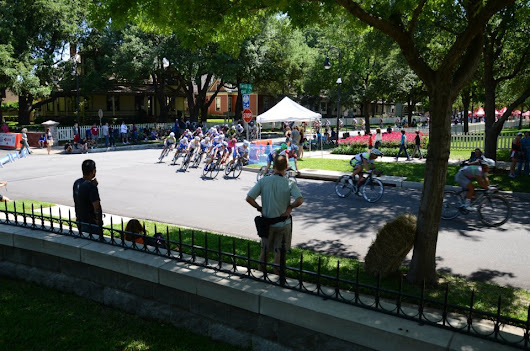 Few things are as awesome as lounging in the shade and drinking beer while cheering on bike racers. That, and the vegetarian burger from race sponsor Stackhouse was one of the best I have ever had. Matrix, I’ll be back next year for another stab at the P/1/2 race, but until then, I’m going to pretend like Sunday’s race didn’t happen.